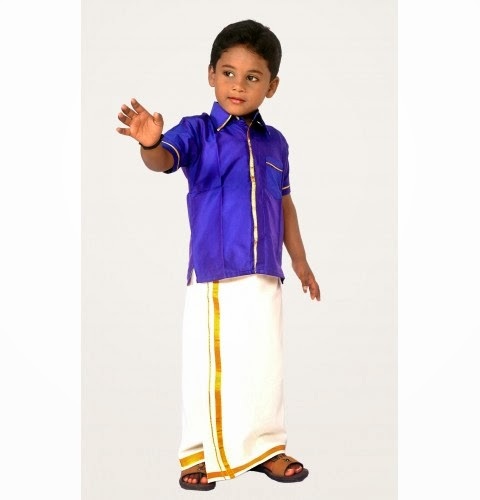 Young boys would look adorable in our tradional dhotis. 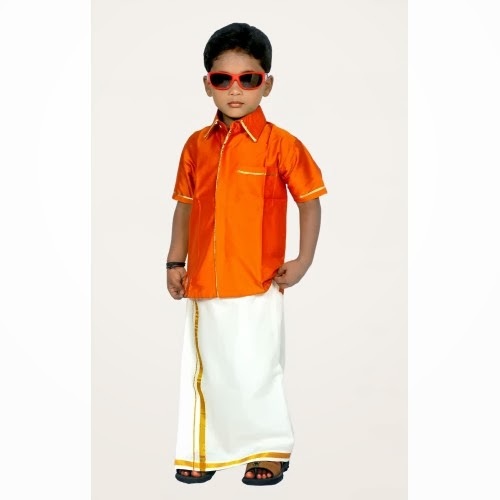 If you are looking to purchase readymade dhoti sets for young boys, The Chennai Silks online store is one good place to buy them online. 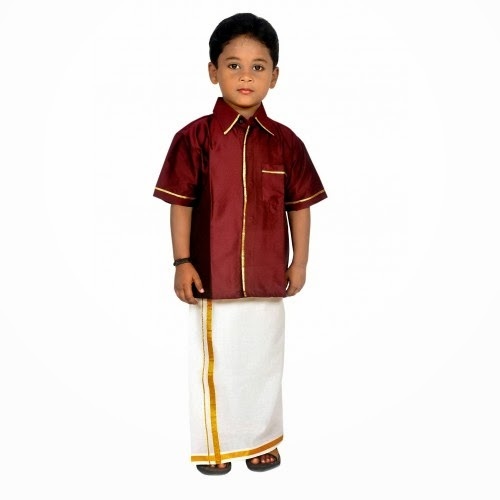 They have Dhoti Sets for boys at about 650/- rupees.